Faaria has been captivating audiences in the Buffalo area since 2003. Her performances are classy, classic and above all FUN! She is a sought after performer for her ability to truly engage and entertain people with both the beauty of her dance and interaction with guests, not to mention a little humor sprinkled in. Faaria performs for small and large parties, birthdays, retirement parties, weddings, corporate events, restaurants, Sheesha lounges, cultural events, and festivals all in a lively upbeat way. Faaria can work with you or your planner to provide the very best in belly dance entertainment for your next event. Let’s get the party started with authentic belly dance by Faaria! Wedding performances: Faaria can tailor a performance to give your special day a great show for wedding guests to enjoy. Faaria can work closely with the bride on music, props, and costuming. Corporate events: Faaria can bring a glamorous performance to makes any event more fun. 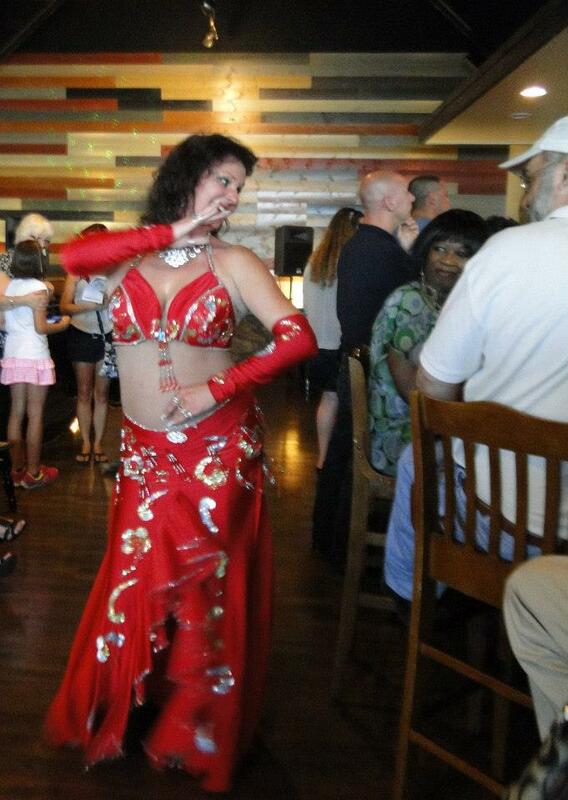 Faaria is a professional belly dancer in the Buffalo and WNY area. Her professional career began in 2003 and has included events of all kinds both small and large. Faaria has performed at national conventions, festivals, weddings, private parties, restaurants, Sheesha Lounges, cultural events and more. Her extensive experience performing gives her the ability to provide the very best in belly dance entertainment. She is the owner and artistic director of Oasis Dance Center (awarded "Best Dance Classes" by Buffalo Spree Magazine 2013), Director of The Oasis Binat Belly Dancers, and a soloist in the Buffalo area. She has trained and mentored the best professionals in the Buffalo area. Faaria has been a guest artist at SUNY Fredonia, guest instructor at the UB summer dance program, and featured performer at countless events all across the Buffalo area. Faaria began her dance training as a child studying western dance forms (ballet, modern, jazz). After discovering belly dance Faaria has studied with belly dance greats and is always upgrading her dance training. 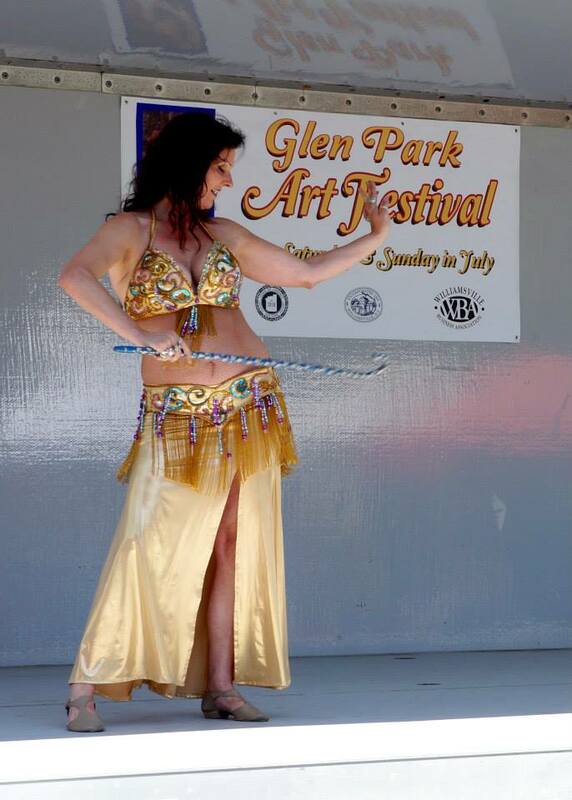 Faaria's mission is to bring the art of Egyptian dance (belly dance) to people to enjoy and celebrate! Faaria can provide a FUN performance for all events! She can provide a sound system for smaller events. Faaria can provide performances with props according to the clients preferences: Veil, Sword, Isis Wings, Tray Balancing, Veil Fans, and Shamandon. Faaria enters ready to dance and entertain your guests. Continuous training in the art of belly dance with master instructors to perfect the art of belly dance. For large events Faaria provides music for DJ. Faaria comes ready to entertain for a stress free event for you! Can provide entertainement in both small house parties and large performance venues.